Lock in a great price for Admiral's House – rated 9.6 by recent guests! 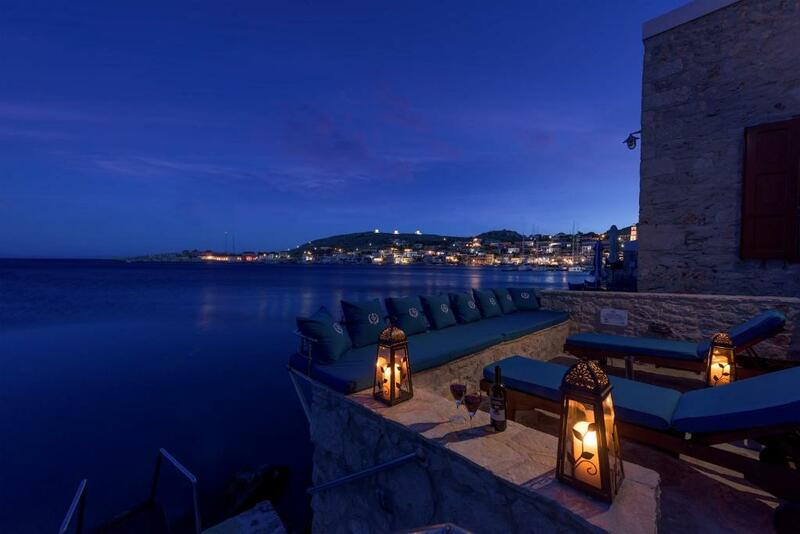 Housed in a 19th century, refurbished mansion, Admiral’s House is located right above the sea, around 500 feet from Halki’s Port. 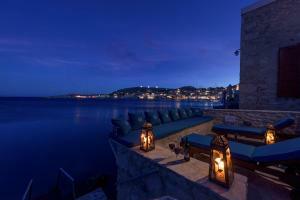 The villas open to a 28-m² terrace with full views of the Aegean Sea or to a seafront garden. The air-conditioned villas consist of a bedroom and a fully equipped kitchen, stocked with alcoholic drinks and beverages. A flat-screen, satellite TV and DVD player are available in the living room. Guests can stay connected by using the free Wi-Fi. The bathroom is fitted with a shower and hairdryer. 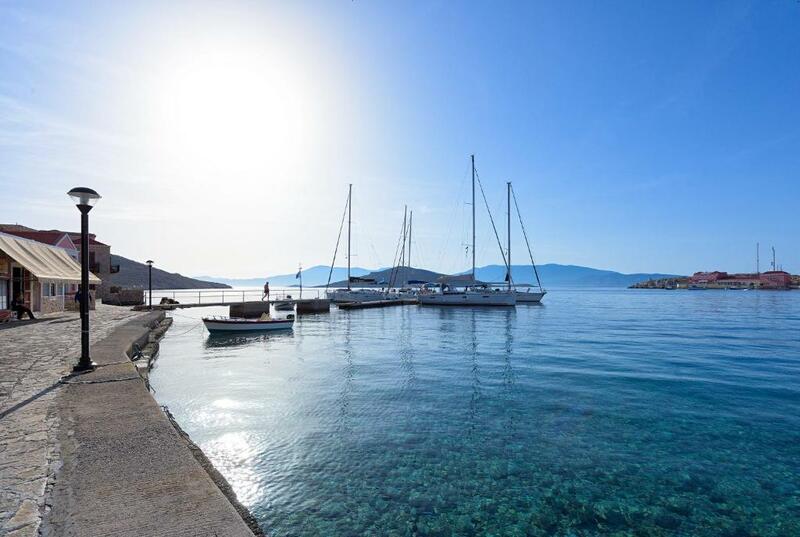 Admiral’s House lies within a short walk from restaurants serving fresh fish and local delicacies. The sandy beach of Potamos is around 2,650 feet away, while the old capital of Halki is at 1.2 mi. When would you like to stay at Admiral's House? 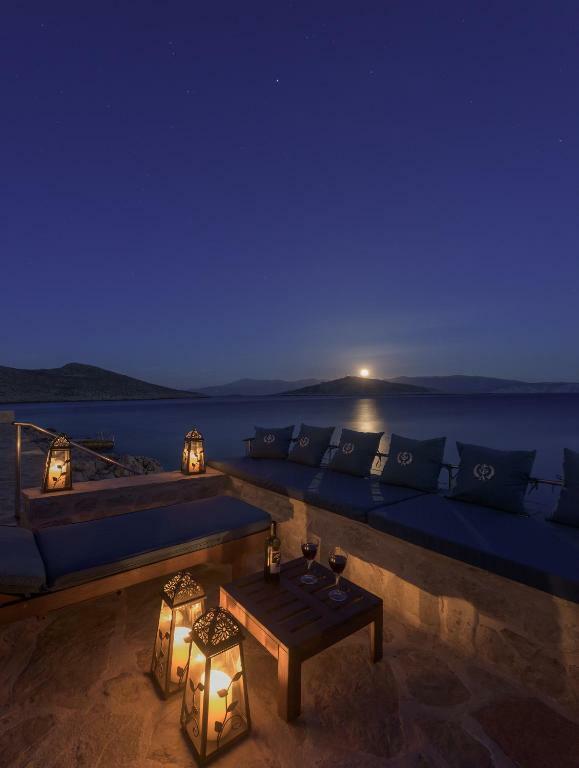 Housed in a 19th century, refurbished mansion, this air-conditioned villa is located above a private beach area and opens to a 28m2 terrace with full views of the Aegean Sea. Guests can stay connected by using the free Wi-Fi or the i-pad device provided. 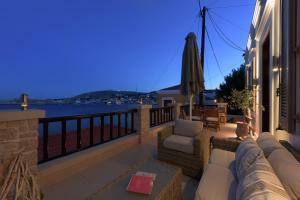 It consists of a fully equipped kitchen, stocked with alcoholic drinks and beverages. A flat-screen, satellite TV and DVD player are available in the living room. The bathroom is fitted with a spa bath, separate shower and hairdryer. Please note that the private sea front garden and the private beach area are shared from both One-Bedroom Villa and Villa guests. Housed in a 19th century mansion, this air-conditioned, ground-floor villa is located right above a beachfront garden. It consists of a bedroom and a fully equipped kitchen, stocked with alcoholic drinks and beverages. A flat-screen, satellite TV and DVD player are available in the living room. Guests can stay connected by using the free Wi-Fi. The bathroom is fitted with a shower and hairdryer. The echo of the island's history complements the charm and graciousness of the Admiral's Traditional House. 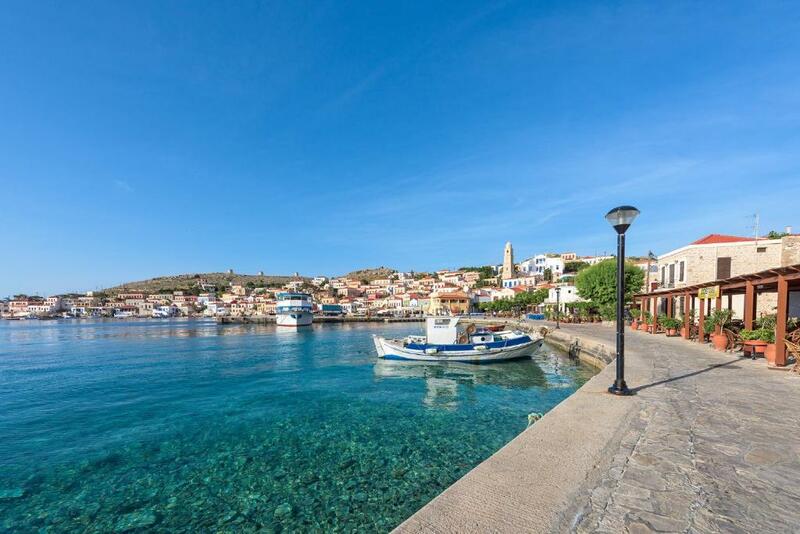 A glorious environment in perfect harmony with the architecture of the surroundings and traditional character of the old houses on the island of Halki. Warm, friendly corners, fragrant seafront garden, an impressive tour of the senses where architecture meets design in an elegant setting. Traditional materials, such as stone, wood and marble create a welcoming ambiance. The beauty of total relaxation adds to the pleasures of a small paradise. Welcome to the Admiral's House on the island of Halki. My name is Dioni Lampiri and I m the daughter of Admiral Periandros. 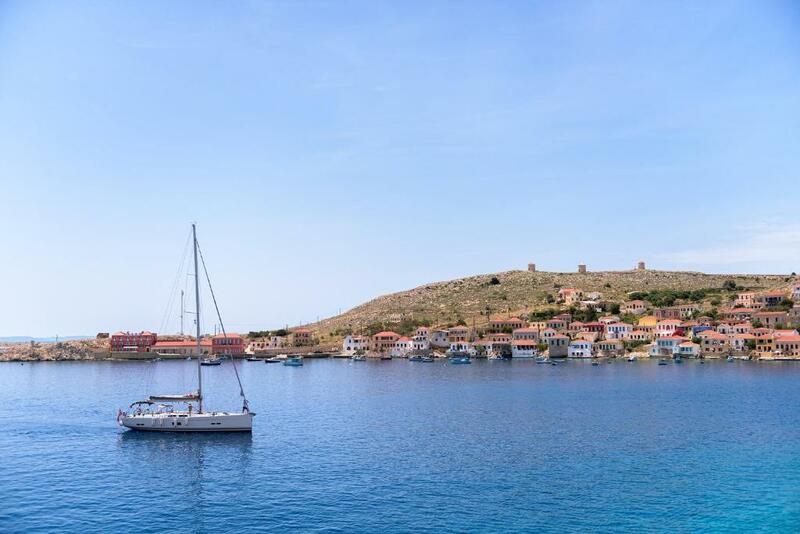 I was born and raised in Athens Greece and during my childhood I was spending time with my family during the summer at our house on the island of Halki. A few years ago I decided to renovate our family house in order to keep it in a good condition and continue visiting the island of Halki with my family. That s how the idea of renting the house was born. Since my family and I had great times at our house, I strongly believed that renting the house will give the opportunity to many people from different places of the world to have the chance to enjoy their vacation time at our family house as well. The Admiral’s Exclusive Deluxe traditional house is a place that someone can visit during the summer time and have a great time. The Admirtal’s House is located in a very quite neighborhood on the island of Halki and only a few meters way from the sea water with its own seafront garden. House Rules Admiral's House takes special requests – add in the next step! Admiral&#39;s House accepts these cards and reserves the right to temporarily hold an amount prior to arrival. Admiral's House accepts these cards and reserves the right to temporarily hold an amount prior to arrival. Please inform Admiral's House of your expected arrival time in advance. You can use the Special Requests box when booking, or contact the property directly using the contact details in your confirmation. Wonderful hosts. Wonderful place. Wonderful time. The host was beyond nice and extra helpful! Could not find any fault - which is not like me. The accommodation was superb in every way. The modern decor with neutral tones complimented the tastefully done nautical theme. The attention to detail was second to none. 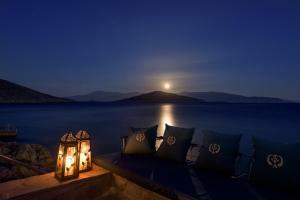 The outside terraces down to the sea were beautifully done and in the evening lit by lanterns and candles. Everything was of the highest standard from the super comfortable bed to the excellent shower and bathroom, from the latest induction oven and hob to the two 50 inch TVs. Husband and wife owners could not have been more generous or helpful. We were in the downstairs accommodation but was invited in to see the upstairs. 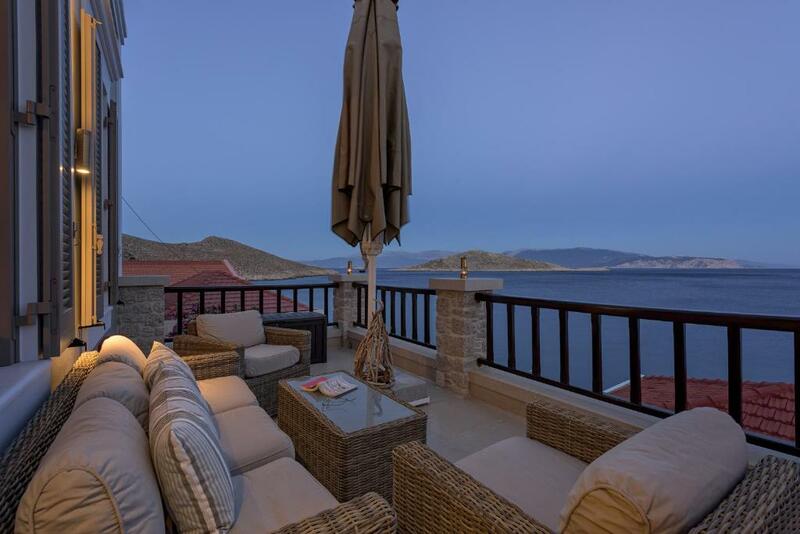 Two words describe the views from the huge balcony and the interior 'JAW DROPPING'. Were surprised by the thoroughfare between house and terrace. Wasn't a major problem, but may be a bit busy in high season - scooters & mopeds. Wouldve preferred a front door that didnt always need the key to get in. The special personal attention to detail of the hosts without intrusiveness. Unexpected bonuses like free washing, ironing, wine, eggs, cheese pies, honey and cigar!